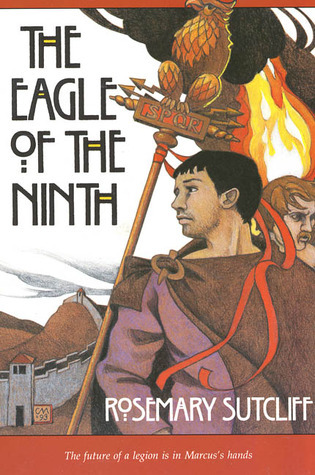 THE EAGLE OF THE NINTH is one of those books. You know, the ones where you forget you're even seeing words on a page. Somehow, while I was reading it, I felt that I really was in ancient Britain, with Marcus, the injured centurion, and his friend Esca. The descriptions are so wonderfully evocative of the place, the time, and the situations that Marcus and Esca face. But the story is more than just its setting. It's a tale of honor lost that must be regained, and of the lengths that Marcus must go to in order to find the symbol of that honor. Marcus' father was a legionary in the Ninth Roman Legion, which disappeared beyond the boundaries of Rome's influence. Their standard was lost with them, and Marcus is determined to bring it back.